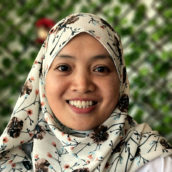 Azrisalam Magomnang is the Lanao Team Leader for Impl. Project in the Philippines. She has a Bachelor of Arts in Sociology from Mindanao State University and is currently working on a Masters Degree in Sustainable Development Studies, with a Major in Sustainable Community Development, at Mindanao State University – Iligan Institute of Technology. She considers herself a passionate Meranao lady and a firm believer in Community Organization and Peace & Development Advocacy. Previously, Azri has worked in the areas around Lanao Del Sur and Lanao Del Norte as a Field Researcher.